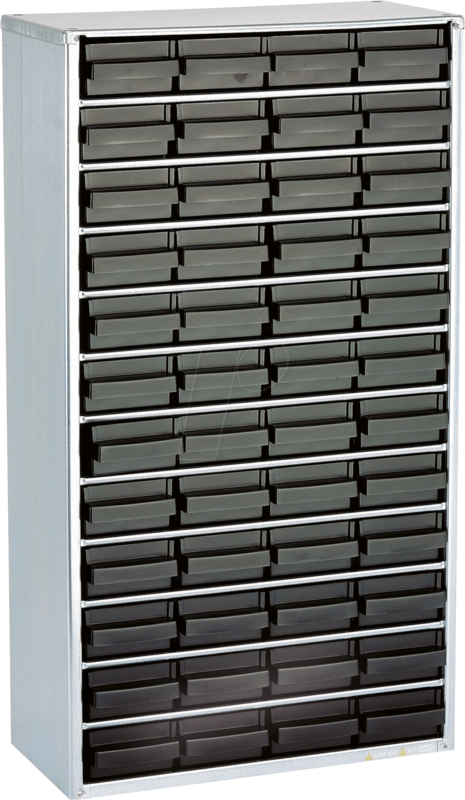 Conductive cabinet with 48 drawers, type 150-01. Every drawer can be divided into 6 compartments with dividers (available as accessories). Earthing cable included. Manufactured from steel, drawers made from ESD PP.